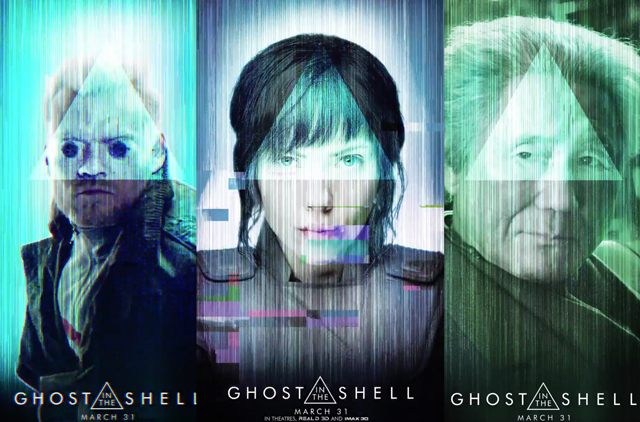 Paramount Pictures has released new Ghost in the Shell character motion posters, which you can check out below! Set for a release in theaters March 31, Ghost in the Shell stars Scarlett Johansson (Avengers: Age of Ultron, Lucy) and is directed by Rupert Sanders (Snow White and the Huntsman). Based on the famous Kodansha Comics manga series of the same name (written and illustrated by Masamune Shirow), the film is produced by Avi Arad (The Amazing Spider-Man 1 & 2, Iron Man), Ari Arad (Ghost Rider: Spirit of Vengeance), and Steven Paul (Ghost Rider: Spirit of Vengeance). Michael Costigan (Prometheus), Tetsu Fujimura (Tekken), Mitsuhisa Ishikawa, whose animation studio Production I.G produced the Japanese Ghost in the Shell film and television series, and Jeffrey Silver (Edge of Tomorrow, 300) executive produce. Ghost in the Shell follows the Major (Johansson), a special ops, one-of-a-kind human-cyborg hybrid, who leads the elite task force Section 9. Devoted to stopping the most dangerous criminals and extremists, Section 9 is faced with an enemy whose singular goal is to wipe out Hanka Robotic’s advancements in cyber technology. The cast of Ghost in the Shell also includes Beat Takeshi Kitano as Daisuke Aramaki, Juliette Binoche as Dr. Ouelet, Michael Pitt as Kuze, Pilou Asbæk as Batou, and Kaori Momoi. The members of Section 9 are played by Chin Han, Danusia Samal, Lasarus Ratuere, Yutaka Izumihara and Tuwanda Manyimo. What do you think of the new Ghost in the Shell character motion posters? Let us know your thoughts in the comments.